Philosphers in business: critical, analytical, creative thinkers Blog on business intelligence, performance management, philosophers in business by Wouter Trappers, information management consultant at Deloitte. When I started looking for a job after university with a major in philosophy, I found myself before the task to convince my future employees of the value of the knowledge and skills I got out of my education and their relevance in the context of business. Ever since I wonder what skills and attitudes - if any - are unique to a philosopher that makes him or her superbly suited for a job in the private sector. Regularly the discussion what the relationship between education and the private sector should be, comes to the surface in Belgium, as recently was the case. Often philosophy is portraited as a useless study that should be abolished - or at least made much more expensive than more practical studies. Maybe after my little project I will have some good arguments to argue against this standpoint. The question whether for instance economists are better prepared to meet the future challenges for business is handily ignored in the debate. Previously I published their stories starting with Wim Oosterlinck, radio DJ for Q-Music, who has studied philosophy in Ghent. After that Hans Bourlon, co-founder of Studio 100, shared with us his vision on the pros and cons of a study in philosophy, which he undertook in Brussels, Leuven and Gent. The third interview was with Bart Van Coppenolle, engineer-philosopher and co-founder of Metris and Bhaalu, who sees philosophy as a way to help conceive a worldview to both ignite and support his entrepreneurship. He'll share with us his original view on how philosophy and entrepreneurship are two sides of the same coin. Recently I met with Joost Roelandts, philosopher-engingeer and COO of Massive Media - the company behing Netlog and Twoo. 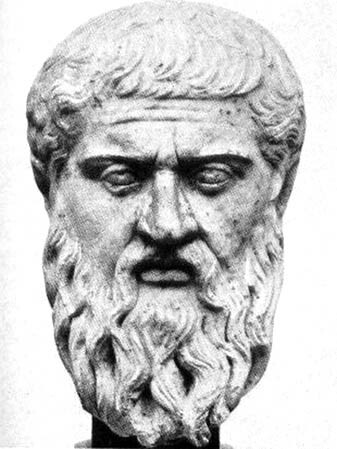 He emphasizes the importance of his study of philosophy to train his abstract, problem solving and critical thinking. Three traits that are indispensable, also in business. For starters I agree with Hans Bourlon and Bart Van Coppenolle: as much as some philosophers would wish for it, philosophers are no different species. We are human just like economists, engineers or artists. We don't have a special aura and the wisdom that is sometimes attributed to a philosopher, is certainly not uniquely reserved for someone who has studied philosophy. One of the skills Wim Oosterlinck brought to my attention and that philosophers are supposed to have, is thinking logically. We are highly trained in analysing an argument to identify the premisses and check whether the argument is logically consistent with these premisses. Even when the premisses themselves are complete nonsense and even when we are not at all convinced that the premisses are true philosophers should be able to jugde wether an argument is logically sound. Forma logic has a certain technicality which trains the philosophers abstract thinking in a way that is directly transferable to programming - as Joost Roelandts agrees. Another trait a philosopher learns in his studies is to look at things from all possible angles. In order to find our own thoughts, we were confronted with a wide variety of other thinkers and had to study their theories in relation to the courses of a wide variety of professors - who all had their own specific take on philosophy. We had to adapt the things we emphasized about a certain thinker, adapt the argument, adapt even the style of our texts to the different professors. All this adapting made us pretty empathic. We did not leave university with the answers to all our questions about life, knowledge, beauty, good and evil. And most of the philosophers I know are still curiously researching new ways to gain knowledge about the big questions in life and critically questioning the new things they come across. This attitude, not to be content with the things we think we know, but to go further and to reformulate the question once more. To wonder if the questions we are asking are the right questions rather than to run with one possible answer. This attitude is something all businesses can use, to look for new better ways to do things, for new markets, and, for fun!